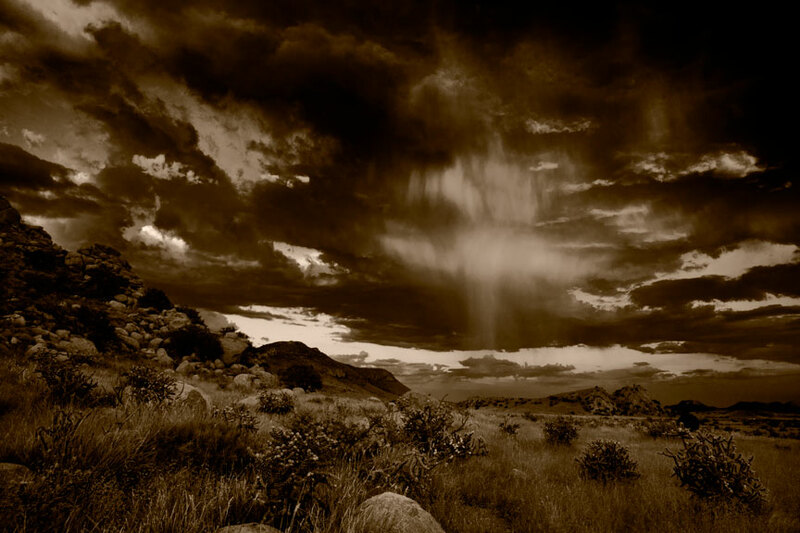 Is Fine Art Photography Really Printmaking? 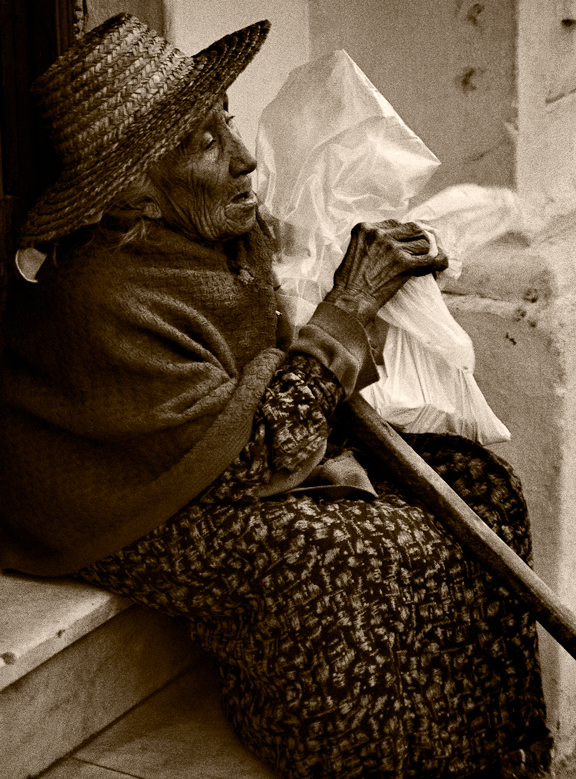 Today’s gratuitous photographs are three images of little old ladies in Peru. 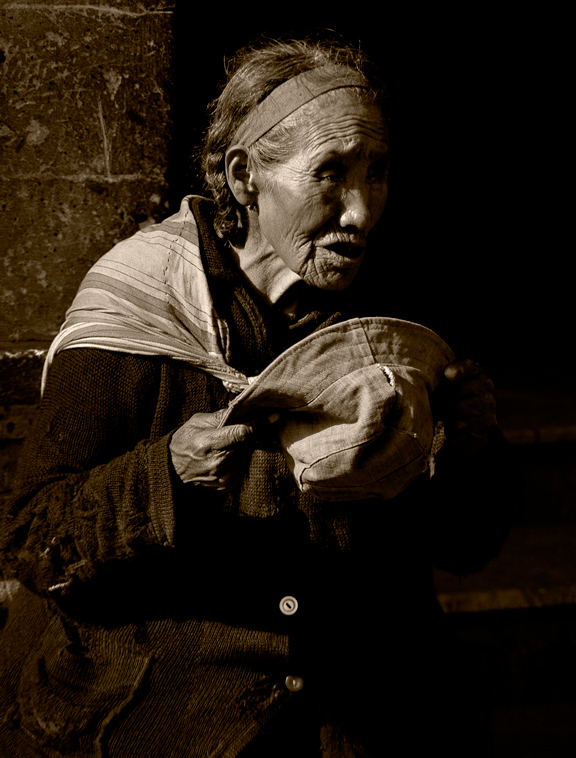 The word “vieja”, means “old woman”. Until very recently, there was no doubt about what constituted a photograph. A photograph, whether vacation snapshot or fine art, was an image derived via a lens, by photochemical means, on paper! Then, the photograph got hit by the cross-town, Digital Express. There were brief forays into other substrates; metal for Daguerreotypes and Tintypes, glass for Ambrotypes, a variety of materials. And of course there were lantern slides, followed later by the more familiar, 35mm color slide (aka transparency), also just different substrates. But, the target by and large has always been paper and the intent, to produce a tangible, precious object. The question now is, how has that all changed? Or, has it changed? If a print is desired, inexpensive inkjet printers abound that can produce a very high quality image. Anyone with the price of a printer and the ability to read an instruction manual, can turn out good results. Those who struggle with instruction manuals can pay a small fee to someone else for similar, or even better results, at a low price. 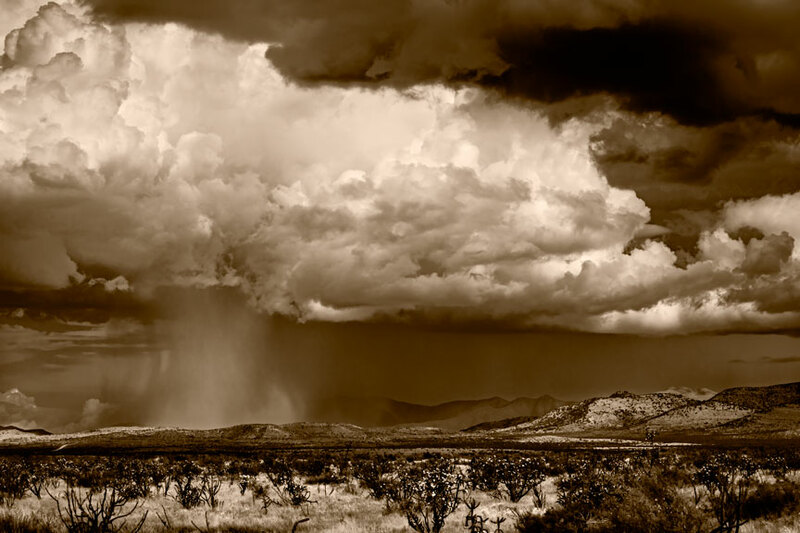 How does all this affect the fine art photographer? Is a digital image just as desirable as a paper image? Perhaps more so? Is an image on a screen just a little bit less real than one on paper? Is it less tangible? Has the public lost its fascination with physical photographs? Is an actual print, now just old school and unremarkable because pretty much anyone can do it, or have it done? 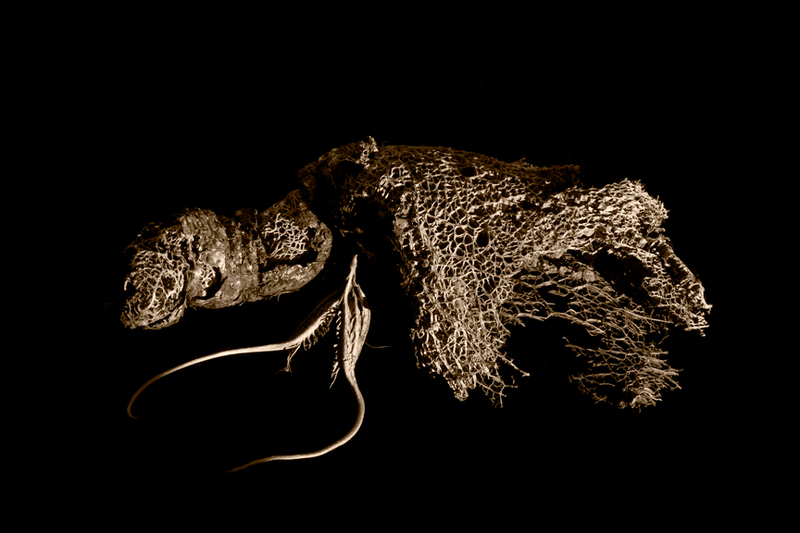 Moreover, can an image that exists only on a screen be a fine art photograph, at all? It would probably not be difficult to make an argument that it can, especially in the current artmosphere (you heard that term here first) that seems to reject virtually nothing that is effortless and new and everything that is old and requires skill and training. You won’t catch me making that argument, but I can see someone taking that position and defending it, successfully. This all leads to the inevitable question: Must a fine art photograph be defined as a physical object? 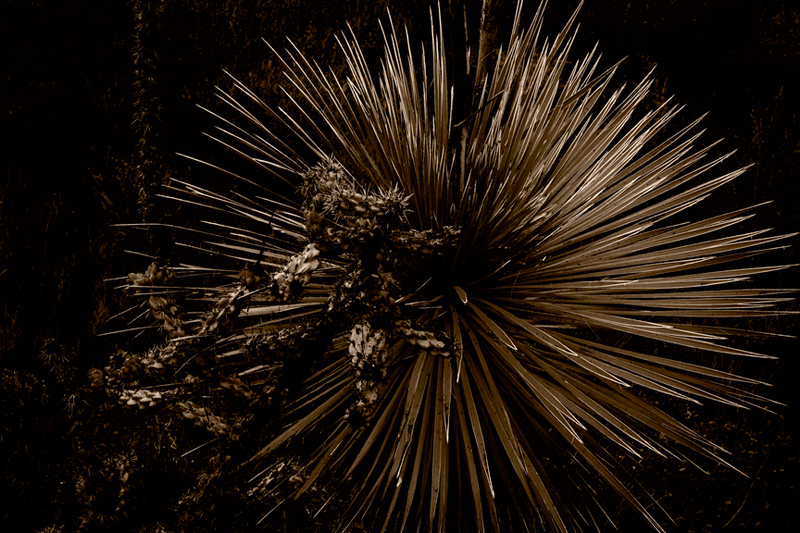 Or can it consist only of electrons, and still be legitimately called a fine art photograph? I can’t necessarily solve the mystery, but I think I can tell you what’s coming because of it. Until very recently, a fine art photograph was absolutely a physical object; a print on paper (or occasional other substrates). It couldn’t be something else because there was nothing else for it to be. To many fine art photographers it will remain just that, forever. But the people who view art as something ever-expanding and ever-advancing (one has to ask if all the changes they champion have to be, by definition, advances, and why some aren’t in fact, reversals) will insist that photographs that are not physical objects are still art, and still valid. I suppose there will be those who choose to live in both camps, but the majority of photographers are going to split at precisely this intersection. Those who prefer a path of least resistance and smallest effort will absolutely go the route of the non-physical image. It is a LOT easier to produce. But it is also highly fugitive. 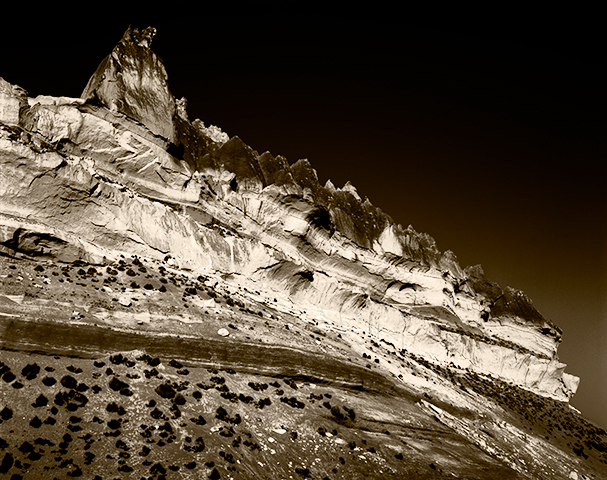 Fine art photographers will continue to make images on paper, because that is what the photograph is. It is not complete unless it is a physical object. Fine art photographers by and large are going to remain makers of images on paper. 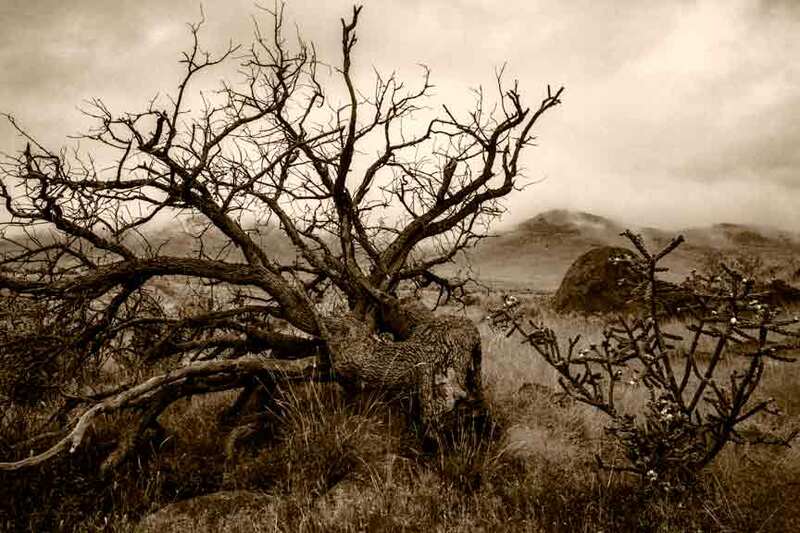 This leads to another interesting question: Is fine art photography really a branch of printmaking? Printmaking is producing art on paper with ink, not what analog photography usually was, but certainly what happens with a photograph and an inkjet printer today. In fact, digital photography is assisting photographers greatly in moving even closer to printmaking, because now, an inkjet printer can be used to create an enlarged digital negative, or in my case, an enlarged positive, for printing photogravures. The whole world of chemical-based, alternative photographic printing has been broadened tremendously by the advent of digital photography and it is quite probable that a significant proportion of fine art photographers will use those digital advances to make an ever-expanding variety and improved quality of analog photographic prints. 21st century digital technology is helping modern photographers to make better 19th century process photographs on paper. Ain’t technology grand!? 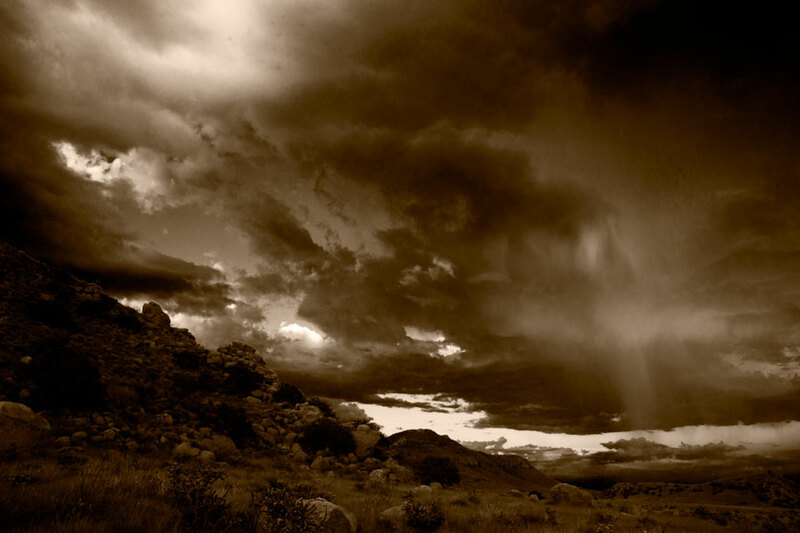 Where fine art photography is going from here is a big deal. I’d love to see someone else’s thoughts, aside from my own. Please feel free to post your opinions and ideas. This post is a necessary precursor to fully understanding the next post, coming up tomorrow(?). The school had its own internal organ and I was handed a recent copy of it some time after starting to work there. The purpose of the publication was to encourage students by giving them a place to show off their images in print. Most all of the student photographs in that issue were ones I had already seen in the school darkroom. I was shocked by what I saw. The apparent technical quality of those images was greatly enhanced by the reproduction process, despite the fact that the printing process was nothing at all to write home about. It was just standard, two or three dots to the inch, very poor quality halftone. Oddly, the opposite is equally true of good images. Reproduction in print or on the computer screen seems to rob images made by skilled artists, of a great deal. 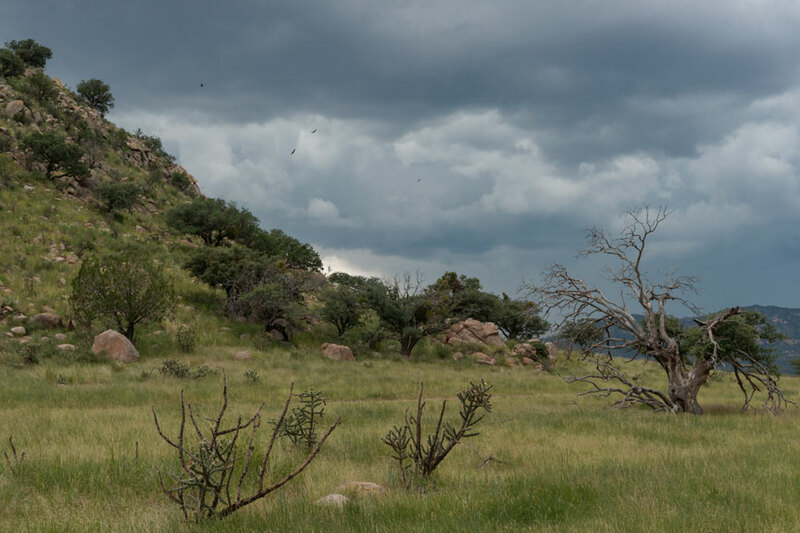 Offset and digital reproductions of well made original photographs that I have seen, have been decidedly anemic by comparison. This too seems to be pretty much a universal law and of course, makes it exceedingly difficult to know from an image on a web page or in print, whether or not the original is actually any good. Most images are inferior and all inferior images are made to look much better by virtue of reproduction, while at the other end of the spectrum, superior images are brought down significantly by the same processes, losing a very great deal. Part of that loss is due to the inherent degradation suffered because of the reproduction processes themselves (halftone or digital) and part is due simply to the fact that reproduction eliminates the far from inconsequential physical presence of a fine art image on paper. 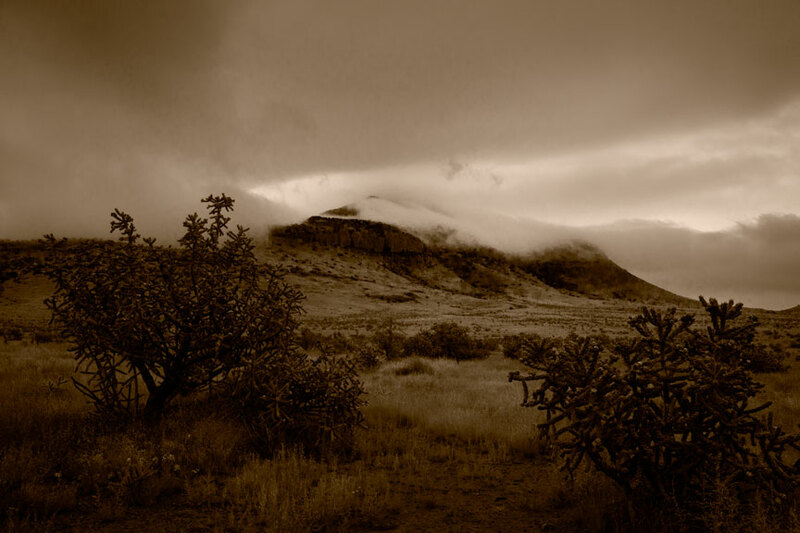 A reproduction is simply a representational, matter-of-fact, stand-in for a fine art photograph, stripped of all of the intimate experience of the original image on paper. The feel, texture and three-dimensionality of the paper and the subtlety of the image thereupon, are missing. There is no there, there. (Gertrude Stein) The soul of the image is absent. This is why it is risky to buy art over the internet. Bad images are made to appear substantially better than they are. Good images are robbed of their souls. I am certain this is equally if not more true, of paintings and sculpture. I’ve given a lot of workshops (not for a decade or so), all centering on the Zone System when it was in vogue and when I was half of a big deal as a Zone System “guru”. Now, if the Zone System is brought up in conversation (it isn’t, unless I bring it up) it is usually greeted by blank stares and the word, “huh”. (Is “huh” a word?) Because I was teaching the Zone System, close proximity to a multi-station darkroom was far more important than access to a beautiful landscape. My students were mostly indoors the whole time, with an occasional foray to a nearby park in order to gather cannon fodder. NB — You may have noticed that there is no link connected to the above term “Zone System”. I googled it. After two pages of wildly incorrect definitions, I gave up. 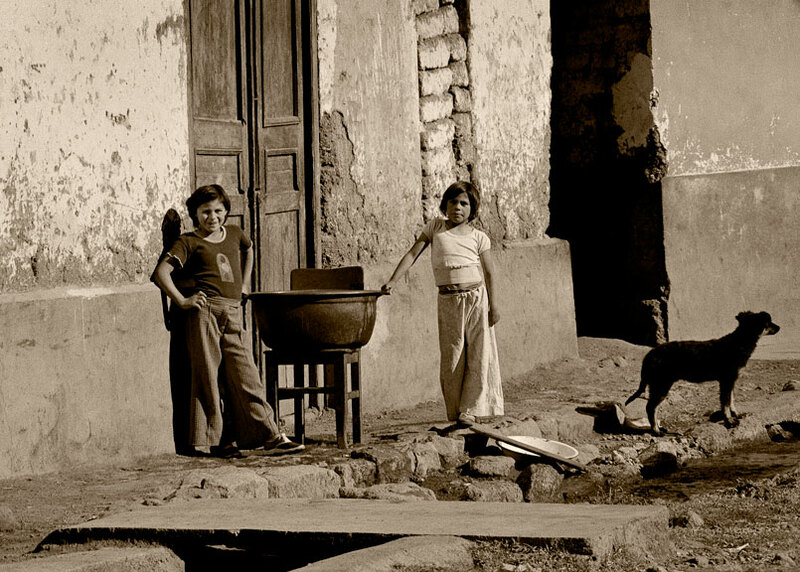 I once reviewed a Spanish language book on the Zone System while giving a workshop in Mexico for Kodak. It was a beautifully made book. Unfortunately, the author had no clue what the Zone System was or how to make use of it. It really isn’t that difficult, but most of what was written about it over the years, by authors other than Ansel Adams himself, was wrong. It has nothing whatever to do with matching negatives to grade 2 papers. And BTW, I have yet to see any reason at all that the Zone System is in any way applicable to digital image capture and processing/printing, as some are apparently claiming. None. Zip. Zero. Zilch. Nada. Goose egg. That’s like applying bicycle mechanics to space travel. Most others who give workshops have had a different approach; one that tended to appeal more to the outdoor experience that a lot of workshop attendees seek. I certainly understand that. A beautiful locale is much more pleasant than a darkroom and lecture hall, and almost certain to attract more students. But I wonder about the wisdom, with regard to actual learning, of taking students to a location famous for low hanging fruit! OK, on second thought, I don’t wonder about it, at all. A happy workshop attendee will result in more attendees in the future. The easiest way to get happy students is to take them somewhere they are sure to get the best images of their life, even if they wear blindfolds while photographing and someone spins them ala pin-the-tail-on-the-photographer, before setting them loose. I mean, really! How difficult is it to get the best images you ever captured when you are at a workshop in Yosemite, or the slot canyon du jour? (The next person to show me a slot canyon photograph is risking his life.) Low hanging fruit. Easy pickin’s. Certainly gratifying, but perhaps not the best way to learn. In fact, definitely not the best way to learn. One of the great hurdles of becoming a fine art photographer is getting beyond reproducing other people’s photographs, and moving on to making your own. Most, never get beyond this point. Of course, we all have to start out emulating someone. Nothing wrong with that. It is educational, provides experience, and helps us get wherever it is that we’re going. 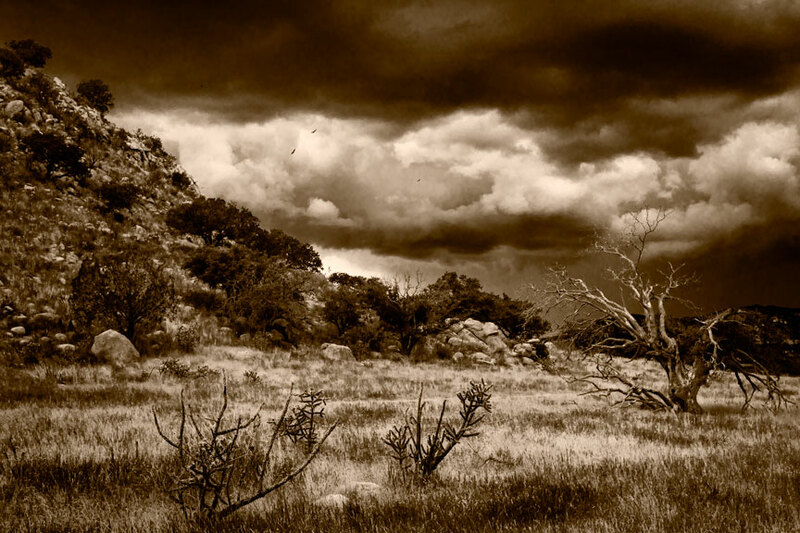 I was an Ansel Adams clone for years. I believe there is now a twelve-step group. But if one is at a workshop in Yosemite! Well, the outcome is almost certain to be extremely Adamsesque and worse, the easiest images there. The low hanging fruit. We all like an easy one from time to time (I never pass one up), but real work is required to make any meaningful progress. And the best place for that is where there isn’t any low hanging fruit. Without it, one has no choice but to sweat. The way to learn is by photographing garbage! Junk! 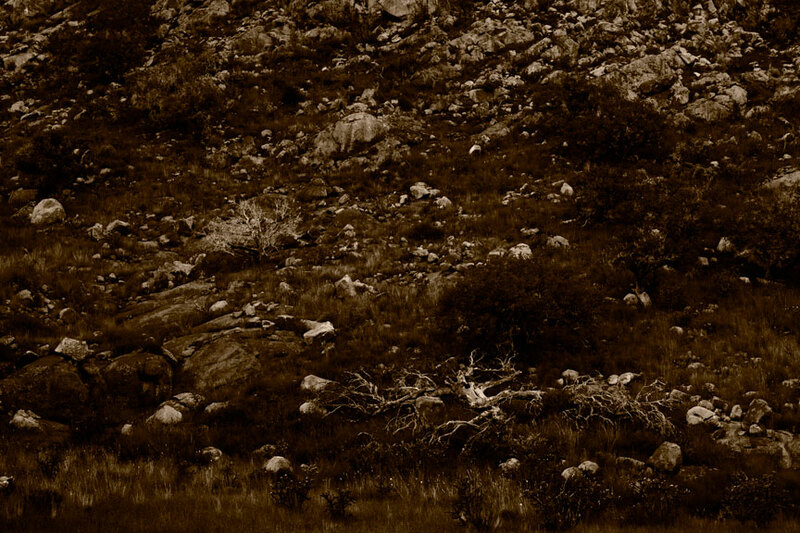 A landscape with so little to offer, it tends to make the weak-willed contemplate suicide. Advancement is achieved by making something out of nothing, not by doing what everyone else and their uncle can do just as well. No pain, no gain. Agony is the secret to success. Fortunately, just about everyone has that agony readily at hand, without having to spend hundreds of dollars on gas and motels to get there. It’s usually right where you live. Pick a nearby location with little or no promise. Work it until you start producing good images. The harder it is, the better for you. When you are sure you’ve exhausted the place, keep going back until you have at least three more. When finished, you may wish to follow this exercise with copious amounts of alcohol, followed by a weekend trip to some place with a lot of low hanging fruit! Not Everyone Claiming To Be An Artist, Is! This is more or less a continuation of the previous post, but sufficiently tangential to call for a different title other than, Part II. I’ve mentioned before that I don’t care very much for the title Fine Art Photographer. I’ve also stated here and there that the reason for this is the fact that the world’s portrait, wedding, Bar Mitzvah, baby picture, calendar, and cute pet photographers are now all calling themselves fine art photographers. The phrase has lost all practical meaning. (If you Google, fine art photography, the results returned will contain so little related to actual fine art photography, as to render the search, utterly useless.) But there is more to it than just that. There are other people calling themselves fine art photographers who are also, no such thing. Sadly, an ignorant and blind public fall for it, easily. Photography has always been very alluring to would-be artists because of its superficial simplicity. In fact, advances in technology have made it so simple to produce a technically acceptable image that it has made photography into an anyone can do it exercise, to a degree never imagined by George Eastman. This has resulted in a peculiar phenomenon. There are now some fine art photography galleries that refuse to see the work of newcomers, at all. This might seem foolish on the surface, but the motive is one of self-preservation. That previously mentioned ocean of wedding and pet photographers, along with a sea of hobbyists, are inundating galleries with requests to show/buy their work. They sincerely believe their work qualifies as art because they cannot see any difference between their work and that of photographers they admire. That giant chasm, as mentioned in the previous post, is utterly invisible to them. There are so many of these people trying to get their vacation pictures into art galleries that some of those galleries have had no choice but to slam the door on everyone, preferring instead to seek out artists secretly. The general public is an easy mark for the unscrupulous when it comes to art, and especially, photography. Start with a population utterly and completely uneducated about fine art photography. Add in the fact that they believe fine art photography is nothing more than photographs just like theirs, only technically better. Make those photographs into gigantic, severely oversaturated prints framed in very poor taste, and you have a recipe for swindling thousands, if not millions. It is difficult to resist diving into a long dissertation here about art education and how it has been taken over by entrenched academics who would like us all to believe that one cannot be an artist without a degree, while they issue those degrees for the express purpose of producing more inbred art teachers whose sole purpose is to produce even more of themselves. It is also supremely difficult to deny the urge to talk about how all that inbreeding has led to art no one understands, because there is nothing to be understood, and that is being used in a global multi-billion dollar game of The Emperor’s New Clothes for the sole purpose of swindling the rich. It is as though at some point in recent history, the timeline for fine art photography was totally severed by some giant celestial axe. 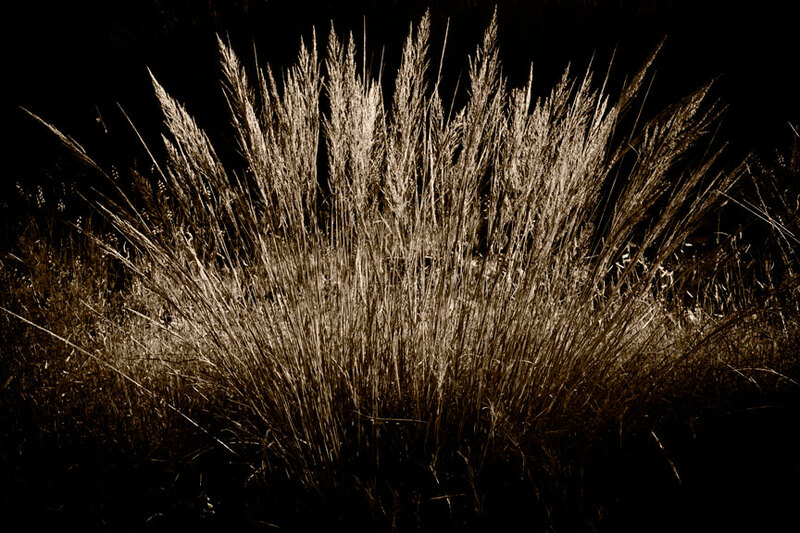 New, would-be, fine art photographers have no idea and no interest in knowing. Ask them who Edward Weston was, they don’t know. Stieglitz? 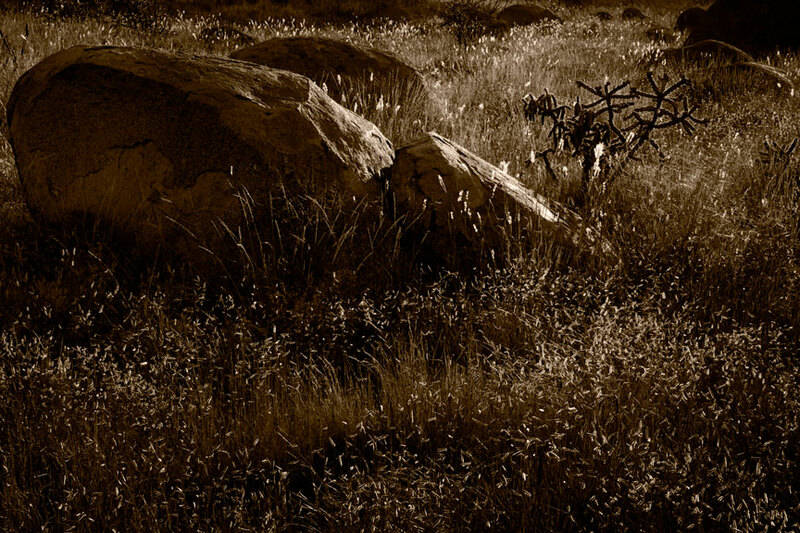 Minor White? Hell, they don’t even know who Ansel Adams was?! How is that even possible? To bring this point completely home, this would be on a par with a student of music admitting to never having heard of a single classical composer. Do these new photographers desire to seek out still living masters to learn from them? Not a chance. And they simply cannot produce anything remotely resembling a fine print, to save their lives. If fine art photography is not about the fine print, then I must admit, I have no idea what it is about! Is It Our Own Fault? 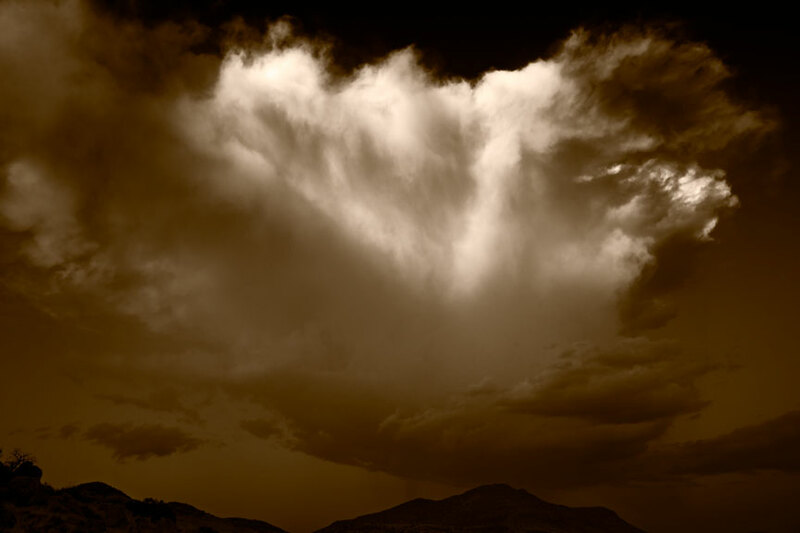 Fine art photography seems to be a rudderless ship. New photographers believe they have nothing to learn from the past, especially on a technical level. This is peculiar since art schools have always stressed the importance of art history. One would think that at the very least, new photographers would desire to know what went before, if only to avoid repeating it. Most can’t even tell you the difference between a fine art photograph and any of billions of ordinary photographs. Lots of people, and I mean a LOT of people are masquerading as fine art photographers, without even bothering to first find out what that means. At the same time, some are pretending to be fine art photographers for the express purpose of bilking innocents of their money. What is especially odd is that swindlers can cheat innocents out of thousands of dollars for a single photograph that is not remotely art, while most genuine fine art photographers have a terrible time selling their work, costing only a few hundred dollars, to anyone. 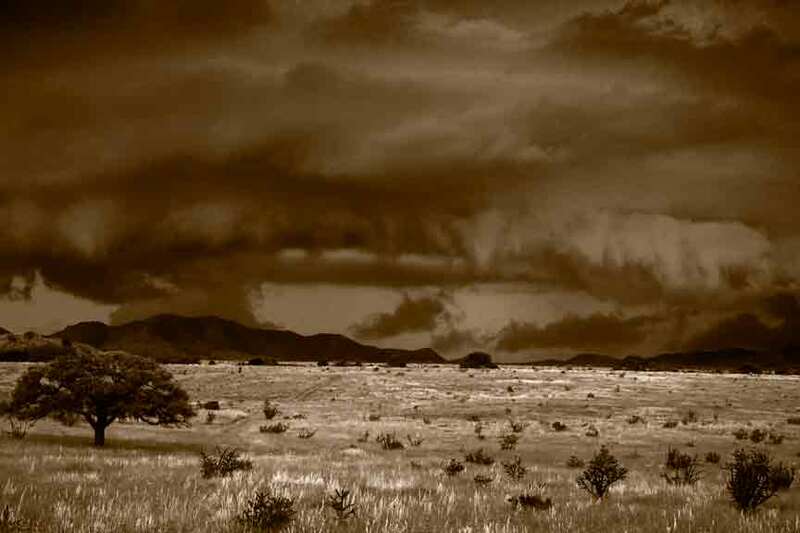 This is in no small part due to the fact that fine art photography tends to be subtle, B&W instead of color, and requires some investment of effort from the viewer. Big, gaudy, oversaturated photographs of crashing waves at sunset require no investment other than cash, and must only match the colors of the sofa. Art schools are pretending to teach fine art photography when they too seem to know nothing about it. (The attitude appears to be: “We are artists. Photography is art. Therefore, we must be photographers and qualified to teach photography.) Oddly, the greatest teachers in the history of fine art photography could not today get hired to teach fine art photography at a junior college! The question that begs to be asked is, “Who is at fault, here?” Aside from the obvious, the swindlers, the artists with political agendas, etc, etc., there is one overriding, inescapable answer. We’re at fault! Fine art photographers are at fault. In our desire to be accepted as artists, we have allowed the art world to re-define fine art photography and to steer it in directions that make no sense. We have let them define fine art photography as something foreign, unfamiliar and undesirable. We have not stood up to say, “Stop, that is not fine art photography”. We have not exposed the swindlers in khaki shorts. We have not told the wannabes that what they are admiring in those glossy magazines is not art. We have not ridiculed the morning show hosts who hold up pretenders as the real thing. But worst of all, we have simply not bothered to teach the public what fine art photography is, thereby allowing those with agendas, or the simply ignorant, to do it for us. All discussions of what is or is not art, eventually spiral away into nothingness. That is the nature of art. If you can explain it, it probably is not art. Even those things at the extremes of ‘not art’ can be seen as art by someone. There are in fact, homes proudly displaying day-glo orange Elvises on black velvet. And there are certainly more than a few rich fools willing to pay absurd sums of money for a piece of string stuck to a wall with a thumb tack, or a home appliance encased in plexi-glass. 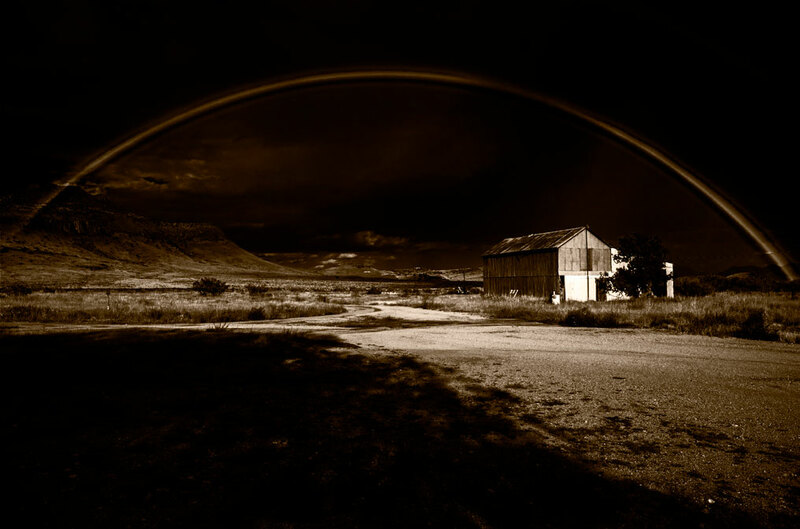 What Is Happening in Fine Art Photography? Just as the industrial revolution turned the world on its ear, causing such bizarre things to occur as Luddites demanding a law declaring that socks could only be made by hand, every aspect of our lives is now in upheaval as a result of the digital revolution. 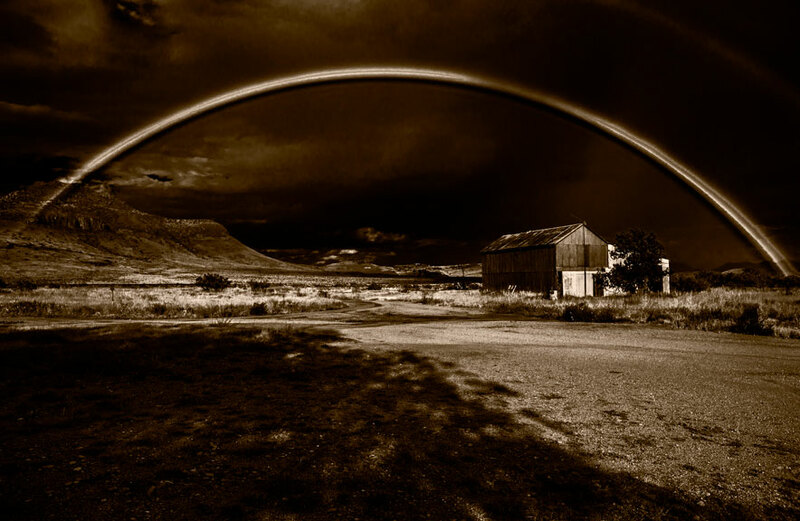 The whirlwind of the digital juggernaut is even more life-altering, but here we’ll restrict ourselves to the narrow sub-topic of how the digital photograph affects fine art photography. The change is profound and its final extent as yet, unseen. What I am not talking about is the technology of making a photograph: sensor vs film. That subject has been done to death and is a waste of time. We’re talking about the effect of the digital photograph itself on the way the world sees, values and appreciates fine art photography, no matter how that photograph was made. This revolution in fine art photography actually started long before the arrival of digital photography, and even before the end of the industrial revolution, with the famous advertising line “You Press The Button, We Do The Rest”. No doubt George Eastman had no idea of the world altering changes that phrase would engender when he coined it in 1888 but that phrase, and the camera it advertised, began a slow upheaval in fine art photography that the digital age has since vastly accelerated. Before “You Press The Button, We Do The Rest”, to the general public photography, all photography, was alchemy; pure magic. And almost any photograph was held in awe. Not just because of what was seen in the image itself, but equally because of the mysteriousness of the process. Much as a primitive tribe might have placed a Zippo cigarette lighter on an altar and worshipped it, the world was fascinated with the photograph in the 19th and much of the 20th centuries and wanted to see photographs wherever they were shown. Early on, photographs were precious things to be safeguarded in luxurious Union Cases (also, Google “union case”, then click on Images) and later, in ornate photo albums. 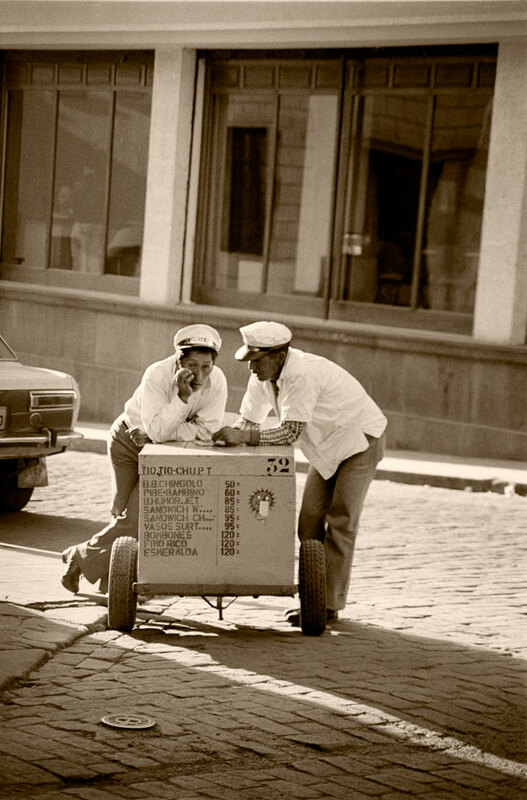 People were absolutely mesmerized by photographs and remained so, right through the 1950s. The photographs of amateur photographers bore little resemblance, especially from the standpoint of technical quality, to those of the fine art and professional photographers of the same period. 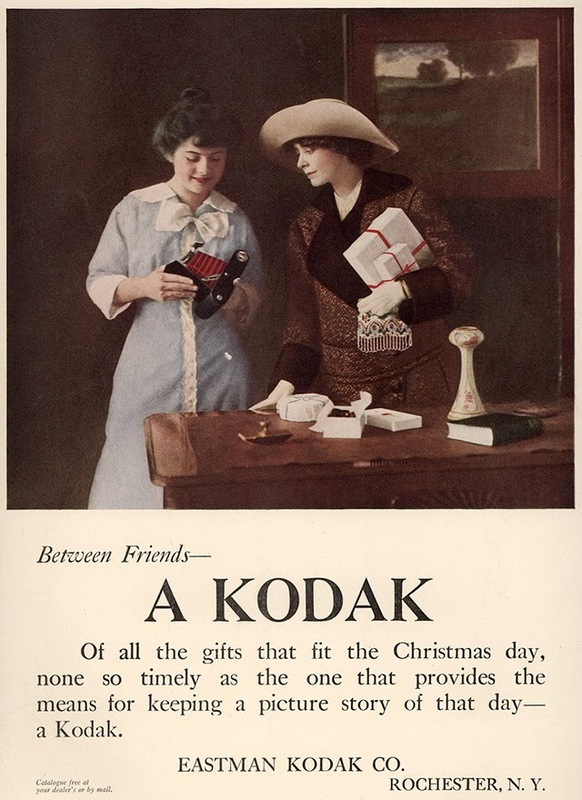 Even the photographs used to advertise cameras to consumers were never taken with those same, or even similar cameras. Sometimes they weren’t photographs at all, but drawings made to look like photographs. Often they were hand colored and drawn on so much that even when they were in fact photographs, they looked as though they might not be. No matter what the amateur photographer did, he could not even get close. Amateurs desired to imitate the quality of fine art photographs and even artistically inclined commercial photographs, and they fairly worshipped the photographers who were producing work at that level. But it was impossible for them to produce quality even close to what they were seeing, so they kept trying (and spending more money). The mystery and admiration remained. It is important to note at this point that there is a very large gap between what the general public is usually capable of seeing and what might be right in front of them. 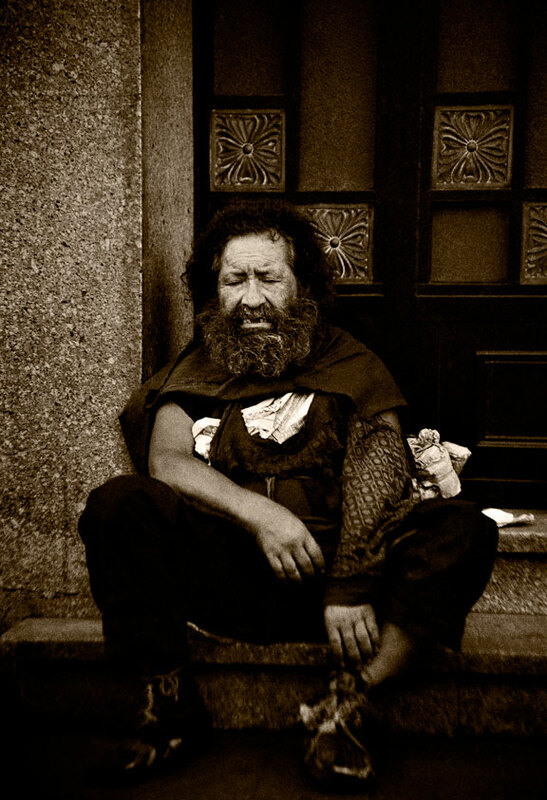 Most people simply cannot see the subtleties, and even the not-so-subtle qualities, in a fine photograph. They haven’t looked at them enough and have seen few if any in the flesh, erroneously believing reproductions to be an adequate substitute. 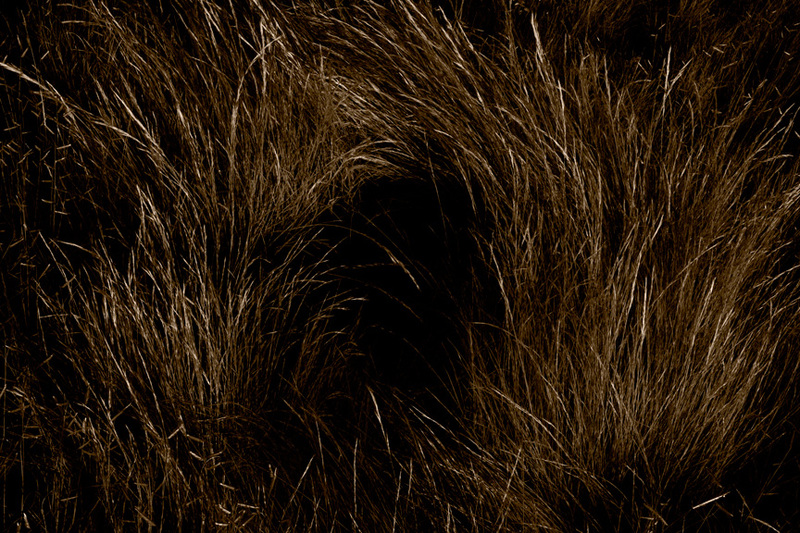 What is glaringly obvious to the artist is often utterly invisible to the public. This was brought home during four years of operating my own gallery. Numerous visitors made perfectly innocent remarks that proved they were not seeing what was directly in front of them. Some didn’t even notice that my images are brown! As equipment and materials improved, and more and more amateurs were able to produce better work, the popularity of photography continued to grow exponentially. Large exhibitions of pictorial photographs (what the public most admired and tried to emulate) drew tens of thousands of visitors. One exhibit in Canada actually topped a million admirers. All the while, professionals with large followings produced very advanced work that hobbyists tried hard to emulate. Manufacturers took advantage of this hero worship, using fine art and even commercial photographers and their work to sell film, paper, cameras, just about everything, while those same photographers advertised workshops and books that offered amateurs a presumed path to emulation. Even today, some hopefuls still pay handsomely to attend workshops taught by the remaining gurus of that era. Continuous advances in film and camera technology enabled snapshooters to continue improving their results. 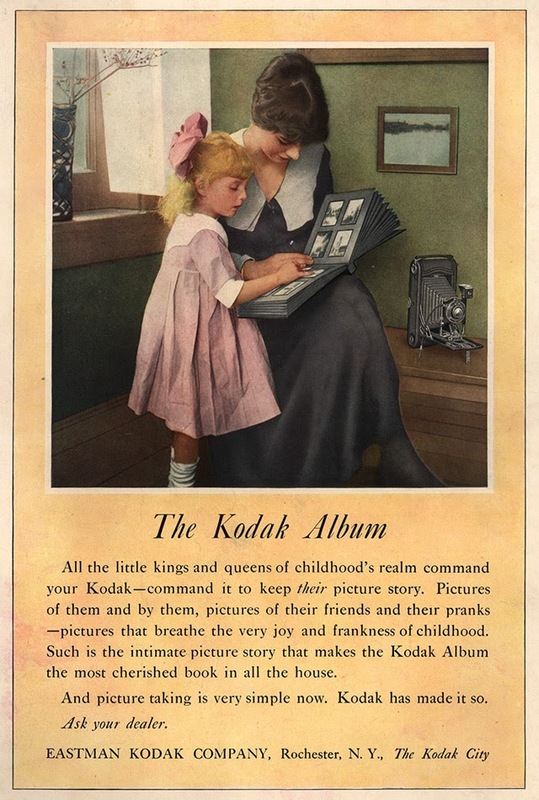 With the advent of inexpensive color film, a very large leap was made. Seeing that color moved them much closer to getting prints that looked like the images they imagined, the great mass of photography enthusiasts jumped to color photography almost overnight. Only the most serious amateurs remained interested in B&W. Fine art photography, which was almost exclusively B&W, lost close to the entirety of its amateur enthusiasts in an instant. 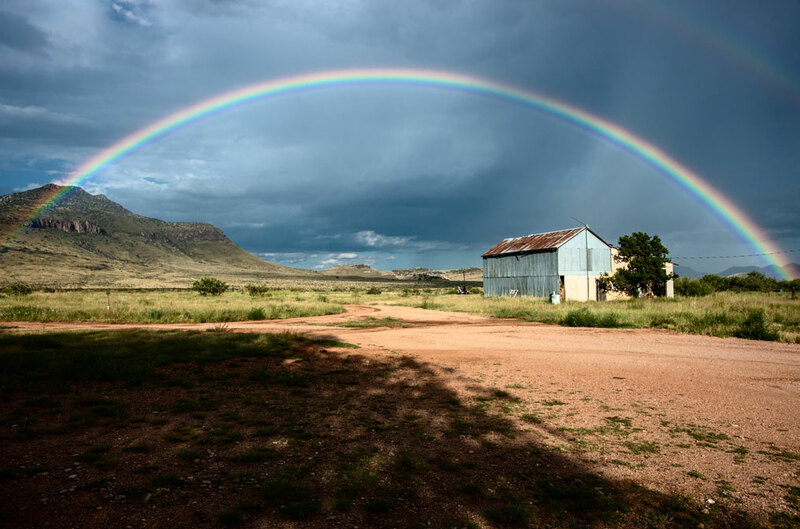 Those newly converted to color photography found new heroes in photographers who were not artists: photographers specializing in travel-related landscape, commercial and portrait photography, sports, wildlife and outdoor photography (not quite sure what that means). Because color photography is by nature, so very literal, amateurs began to see less and less difference between their new color images and those of their newly adopted heroes, also working in color. The perceived gap had narrowed considerably. With time, fewer and fewer snapshot photographers could see any difference at all between what they were doing and what professionals produced. Well before the advent of digital photography, ordinary people with the latest cameras were starting to make remarks to themselves like, “I coulda done that with my camera.” (They were also occasionally saying it out loud to fine art photographers. Trust me on this one!) Of course, they couldn’t. But that isn’t important. What’s important is that they THOUGHT they could! And they thought they could, because the gap between what they could do and what professionals were doing was sufficiently narrow that the snapshooter could no longer see the gap at all. 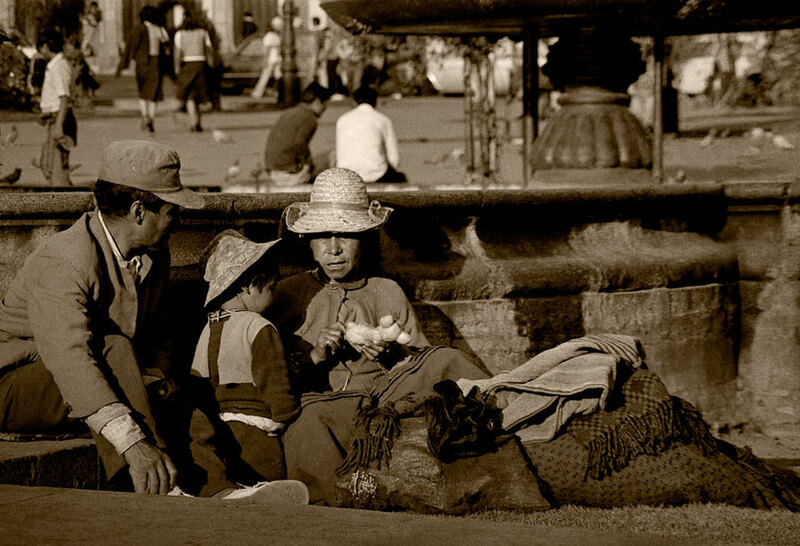 Case in point… When I lived in Arequipa, Peru there was a widely known, obnoxious, rude, supremely racist, unbearable fellow there who was also stinking rich by way of inheritance. He lived all by himself in one of the finest homes in the city. Charlie was an amateur photographer who held a very high opinion of his own photographs. He had to, no one else did. One day he showed me a magazine article with reproductions of photographs made by Ansel Adams and in all seriousness, demanded to know ‘what Ansel had that he did not’. My list was long, but speaking only of photographs, Charlie’s work could not have stood up to that of even the worst fine art photography wannabes of the day. My point? He was serious. He genuinely could not tell the difference. He could not see the ocean-wide chasm between his work and that of Adams. Once a person is no longer able to distinguish between a good fine art photograph and an amateur snapshot, his appreciation for fine art photography ends. The vastness of the difference matters not. He can’t see it, therefore, it is not there. There is another problem. The art part of a fine art photograph is substantially more invisible to the public than the technical differences. To most of the public, a fine art photograph has always been a photograph exactly like one of theirs, superior only in technical quality. When that technical superiority is no longer noticeable, there is no more fascination. The digital photograph finally brought that day, when the public could no longer see the technical superiority of the fine art photograph, compared to their own. Now, the vast majority are inclined to believe they can “do that with their cameras”. Of course, they can’t. But remember, the difference they cannot see, is not there! People don’t respect what they believe they can do themselves. Find ways to make fine art photography noticeably different and obviously unachievable, once again. Make it stand out. 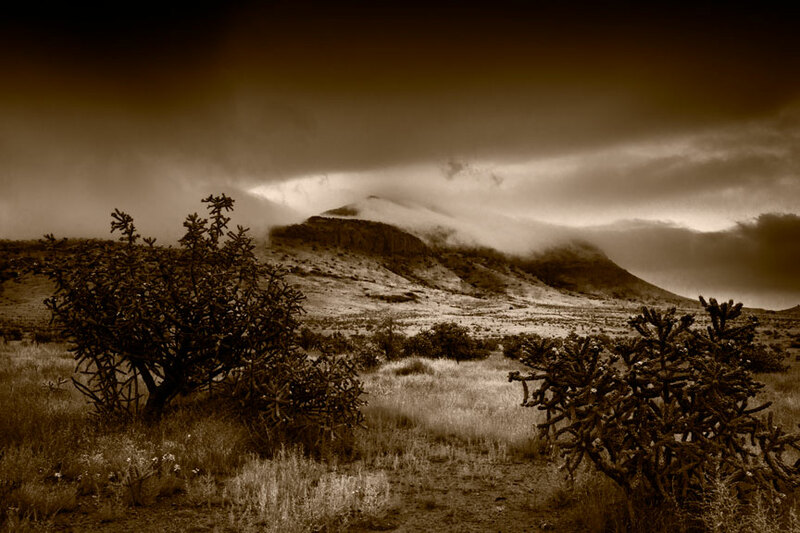 I have mentioned Tony Kuyper, his photographs and his very useful tools for photographers, in a couple of previous posts here and here, privately suggested to Tony a few days ago that we should consider doing an interview for this blog. Just today I learned that the photocascadia web site beat me to the punch. Well, you snooze you lose. Maybe I can come up with enough good questions they didn’t already ask, to justify an interview later on. Also, sooner or later, Tony is going to come to his senses. 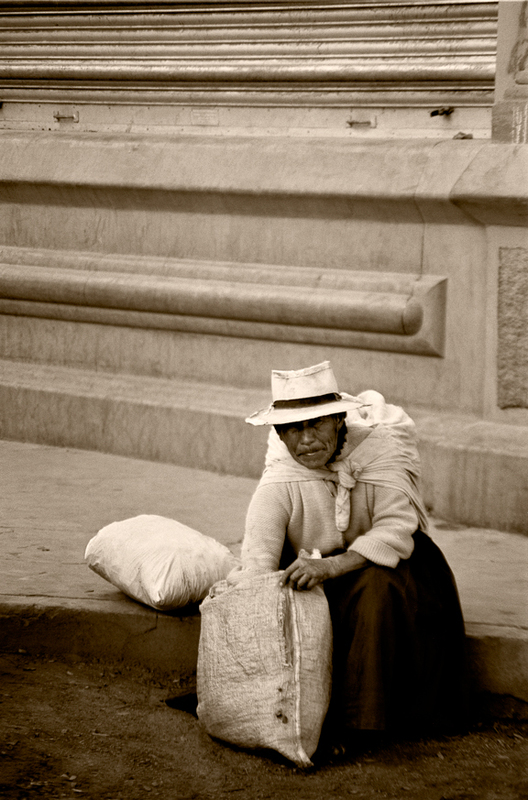 Buy his photographs now at those extreme bargain prices, before he does. Captured in Arequipa, Peru in the late 1980’s (those tiny little forms on the water are pink flamingoes), Laguna Salinas is actually more of a lake, than a lagoon. It is also quite heavily loaded with salt (hence: salinas) and brine shrimp, where the flamingoes get their coloration. 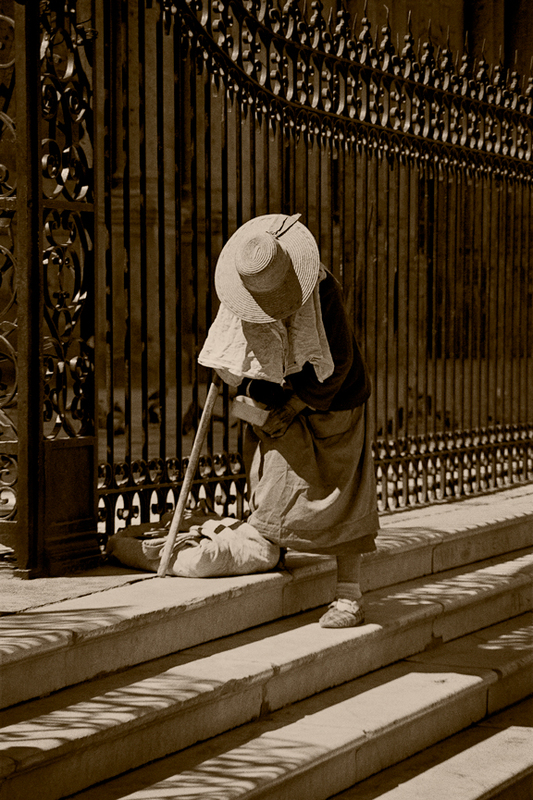 I must admit I have always had a soft spot for the pictorialists. In particular, I like the early work of Stieglitz and friends. I have no desire to do that kind of work myself, being a so-called straight photographer, but I liked a lot of their work, nonetheless. 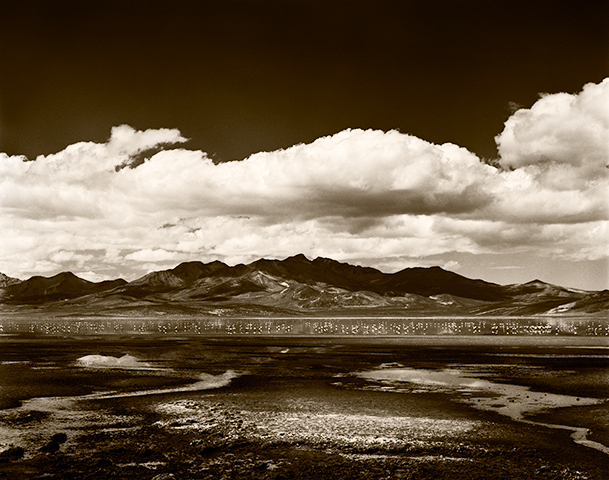 Platinum prints, in particular are extraordinarily beautiful. If you read non-technical photography books at all, you probably have the same impression most everyone else does: that the pictorialists dried up and blew away forever when Stieglitz decided to go straight, so to speak, well before the start of World War I. 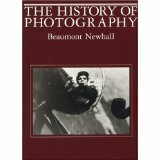 In fact, in his book The History of Photography, author Beaumont Newhall makes little mention of the pictorialists after about 1921. Other historical photographic tomes written by non-pictorialists give them even shorter shrift. In reality, the pictorialist movement lasted until the mid-1950s and for decades was much more widespread and popular than the straight photography movement. I bring this up because I am re-reading two excellent books I have on the subject which are at once, informative and very entertaining, in that they fill in the history of pictorial photography after its implied death. 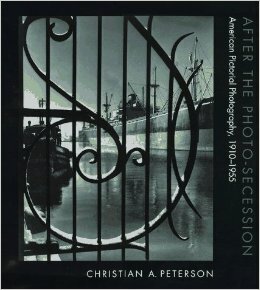 The first book is, After the Photo-Secession: American Pictorial Photography, 1910-1955. This book is out of print, but available pretty cheaply used. 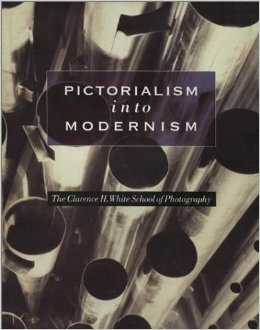 The second book is, Pictorialism into Modernism: The Clarence H. White School of Photography. Available both new and used. If you’re a sucker for this kind of history, like me, you may find these two books very entertaining. BTW, clicking on those images will not take you to Amazon, or anywhere else. I won’t sell books or anything on this blog, except my own work. I have no plans to monetize the blog in the conventional way and feel that if people are sufficiently interested in my work to follow this blog and to desire to support it, then they should be interested in supporting the blog by owning some my work, rather than by buying cameras, lenses, books, etc., etc. I do not begrudge others selling books for Amazon and cameras for Canon, etc., I simply won’t do it myself. If in fact my work is not good enough to support this blog, then quite clearly, the blog should not exist! And… most fine art photographers offer smaller images for entry level collectors, priced lower than dinner and a movie, myself included. Here are some of them. No excuse. If you love fine art photography, then support it in some way more meaningful than buying a book, or a new camera. In the last post I promised to cover the images I showed you in prior posts, but for which I did not pursue a final print. 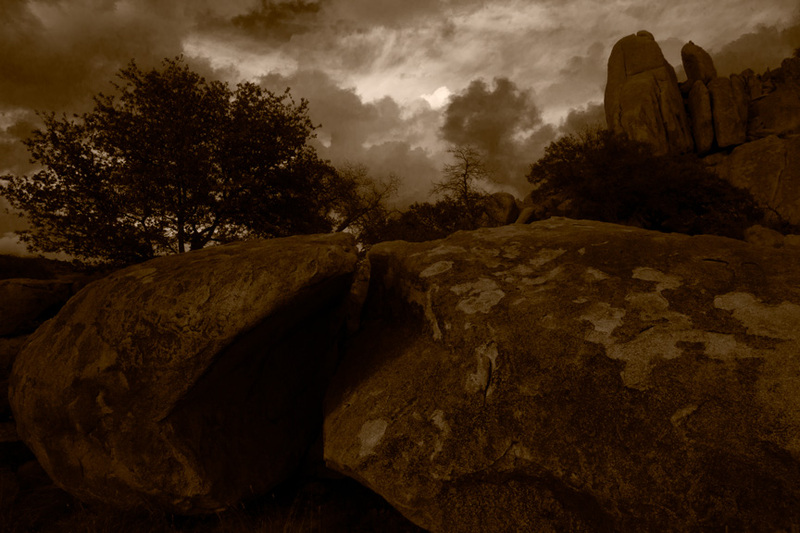 Split Rock… made several test prints. Couldn’t approach a tonal distribution I liked and aside from the interesting rock, it just seems less and less appealing overall. Maybe at a later time, but I don’t think so. It is just a photograph and doesn’t cross over. Rock Abstract is kind of interesting, but probably doesn’t go beyond that. Don’t see much to pursue here. Not sure about Entrelazado. It might still have some potential. Might look at it again, down the line when I am reviewing previous rejects. Cloud Fall is potentially a wonderful image. It remains to be seen if I can turn a two-dimensional disappointment into an illusion of three dimensions that conveys what I saw, which was quite spectacular. Thought I might have something, probably too trite. Two more images that ask the question, “Am I up to getting the most out of these?” (A question I ask myself, not infrequently.) So far, no. These were much more spectacular than what you see here. If I can get these to work, I will probably only show one of them. The problem I am having is with not being able to pull the sky together and maintain the subtleties while keeping it as visually spectacular as what I experienced. Need to start over from scratch. If I get anywhere, I’ll bring you up to date. Will probably end up working most on version two. It was kind of interesting. Maybe another time. Or another tonal approach. Well, I told you at the outset you would get to see it all, the whole process, warts included. Not just the good stuff. These are the warts, with possibly one or two hidden gems. In previous posts I have shown you unmodified versions and preliminary work ups of images I have captured over the last few months. Since I have just in the last week or so finished printing and matting a number of them, it is time to bring you up to date. In the last several days I showed final versions of the two images below. Dead Tree & Fog was shot on Sept 9th and printed Oct 7th. Encircled was captured Sept 11th and printed on Oct 14th. At first I thought there was nothing here, but changed my mind later. This had to be pushed pretty far. 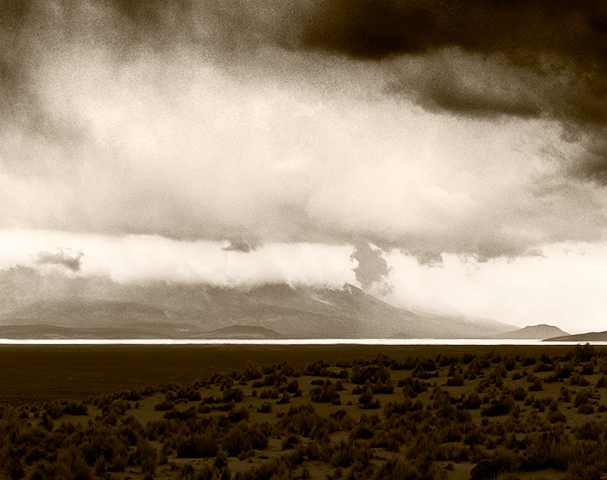 Every part of this image wanted to fall apart with the degree to which I was altering the gray tones. I had to back off a bit from what I wanted because it just wouldn’t hold together that far. 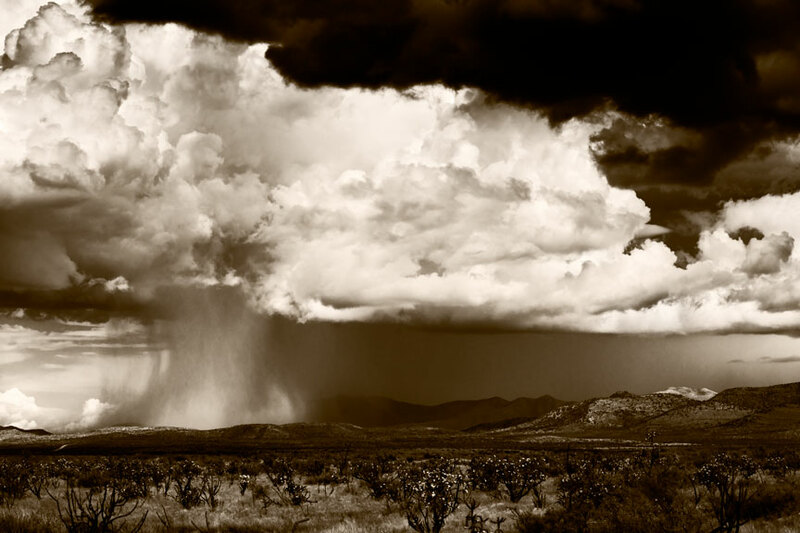 This kind of image is the reason big sensors and lots and lots of megapixels are needed for fine art photography. Ideally, I would like to have about a 6×9 cm sensor with about 150 megapixels. On Aug 8, I captured Vulture Corner, printed Oct 20th. This doesn’t translate at all well into a jpeg. This is actually the second printing. I had finished a version a few days before but just wasn’t completely satisfied with the middle ground. In the process of looking for improvement, I found another capture taken just a few seconds before that showed the vultures better, but was otherwise the same. Tore up the already made prints and printed the new image. It happens. One of the hardest things for people to understand is the difference between what we think we see, what we actually see and what the camera sees and records. What you see just above in the unaltered camera capture looks very different from what I actually saw. The image the camera captures is just as far from reality as what most people think they see when they look at a scene. The fine art photographer has to see what is actually there, what the camera is going to record and what is potentially there in a final print. All are very different. Many a vacation snap shooter has stood at the counter of a photo processor and complained, “I was there and it didn’t look like that!” That is because what was there and what they saw were two different things. I haven’t shown you this one yet, at all. 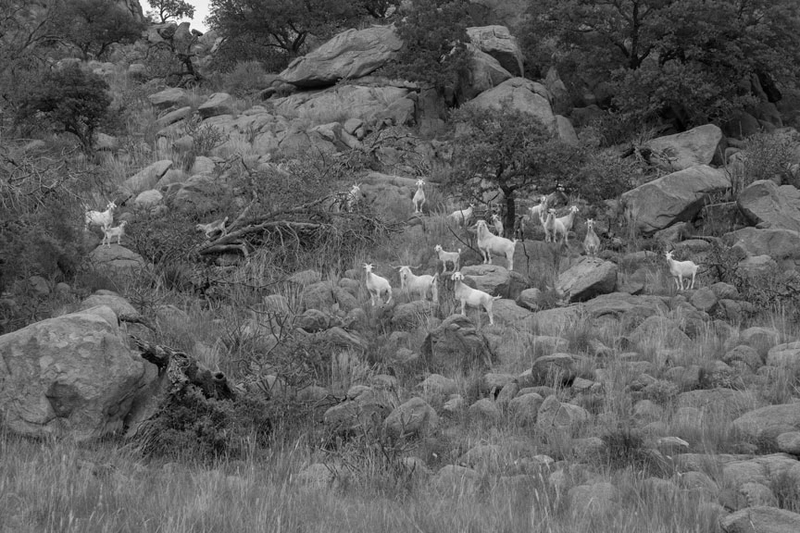 Goats on Lizard Mountain was an end-of-the-day, spur-of-the-moment thing. These goats roam free and do not like to be approached, but they deigned to array themselves in a pleasing manner exactly once before trotting back up the mountain. It doesn’t look it, but this image is pretty heavily altered. 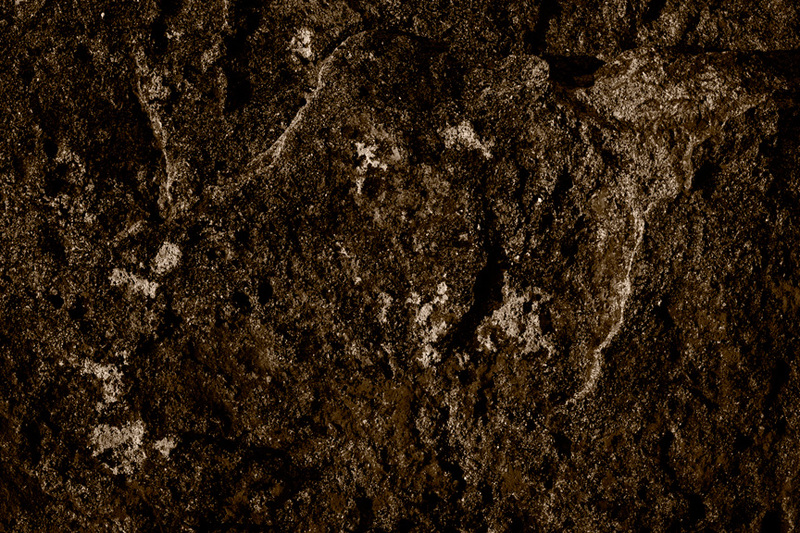 The dark tone of the rocks compared to the light tones in them as seen in the unaltered original capture beneath, should give you an idea of the degree to which this image was pushed. Again with this image, I had to back off a bit because it started to crumble. This doesn’t look like too tough an image until you see the same capture desaturated, below. This is why it needed a lot of wrestling with tonal distribution. Just increasing contrast would have resulted in a snappier version of dull. The other day I showed you Cattle And Lightning which was taken a couple of years ago, but never printed until now. 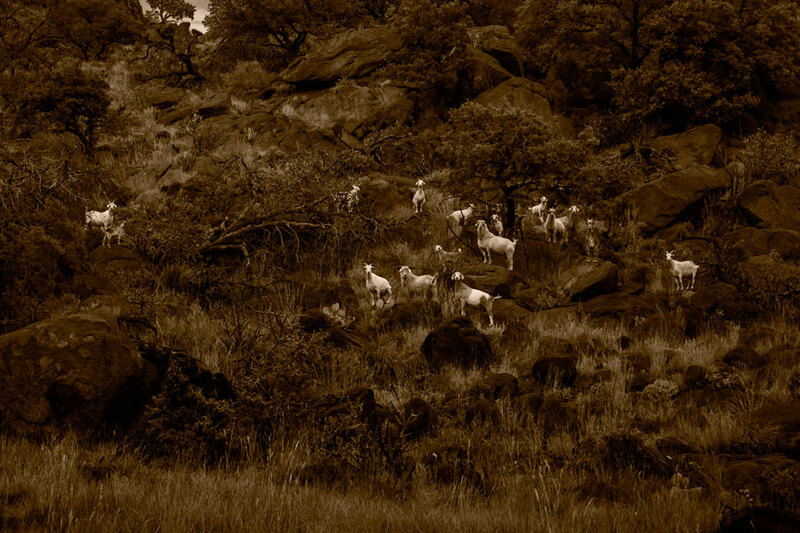 It is not part of the group of recent images captured here on the ranch and is mentioned now only because it was printed at the same time as the others you are seeing. Lastly, there is one image shot in 2009, also not part of the recent group, but again printed with the same grouping. This was a very popular image. I have sold a number of these, but started being unhappy with it soon after the initial version was created. In fact, I was so displeased with it that I took it off my gallery walls quite a few months before closing the gallery July 1st. This is another case where the image doesn’t translate into a jpeg at all well. The first interpretation looks better here than it does on paper, while the new interpretation below it, doesn’t look nearly as good as its printed version. The original was just too contrasty and it was also printed on coated paper, which I have since come to dislike intensely. (Red River Aurora Natural. This is very good paper as coated papers go; they’re just no longer my preference.) The new version is printed on Quiller Cold Press watercolor paper (similar to Arches Cold Press). You’ll just have to take my word for it that the second image is vastly superior to the first, even though the opposite may seem true here. It is full of subtlety that just doesn’t come through here. There simply is not, and probably never will be, a good way to translate the nuances of a fine art photograph to internet presentation. That is the end of the recent printing session. It lasted about three weeks, not counting the initial work ups, which usually last no longer than ten or fifteen minutes. It takes one to three days to reach a final print for an image. Three days is rare, two days is common. Reaching final prints for two images in a single day is very uncommon and good cause for celebration (and usually for starting over on at least one of them, a few days later). Initial work ups usually take place on the same day as capture, or perhaps the next day. Serious printing might not occur for years, as you have seen. You may recall a number of images show in previous posts that do not appear here. They didn’t make it to final prints, at least not yet. Tomorrow I will post some of those and try to explain why they have fallen by the wayside; some perhaps temporarily, others for good. I tend to get wordy and forget to add images to posts. 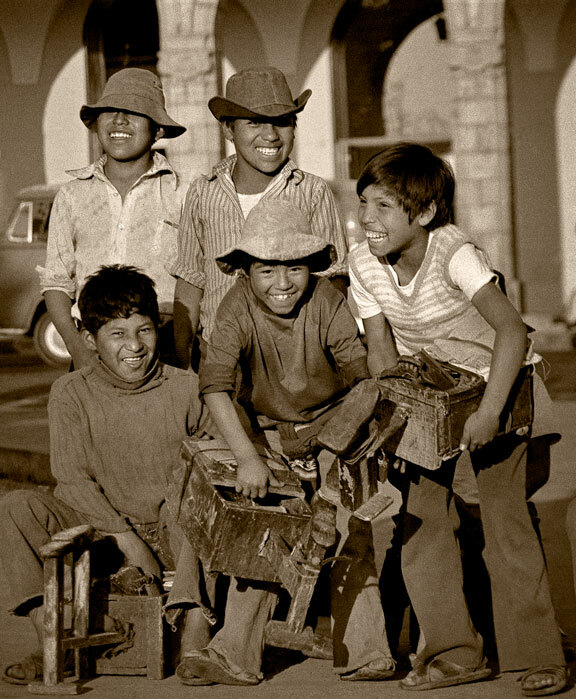 Tonight I sprinkled a few of the photographs of Arequipa Peru captured when I lived there, many years ago, into the posts that had no images. They have nothing to do with the posts in which I placed them, but having some images is better than having no images. Don’t complain, or I’ll put in charts and graphs, instead! Besides, its my blog and I can do what I want. Nyah, nyah. Back in the Bellows, Too!